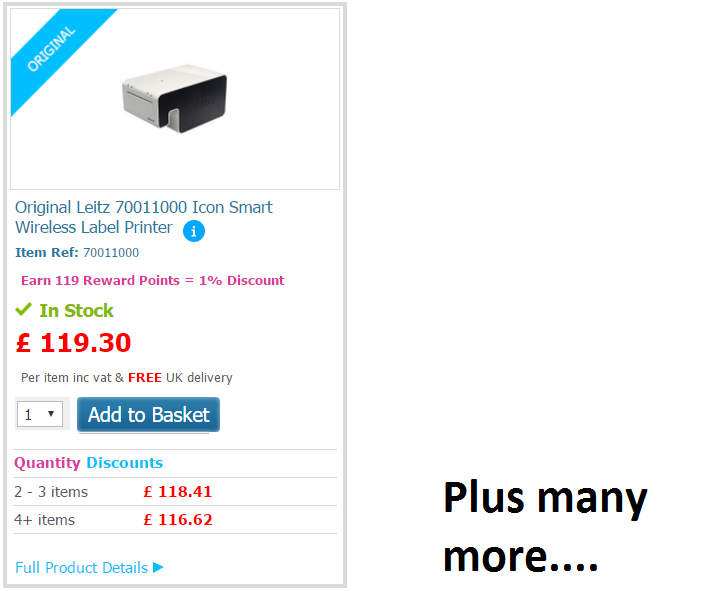 Find the perfect label printer for your home or office at Ink N Toner UK. 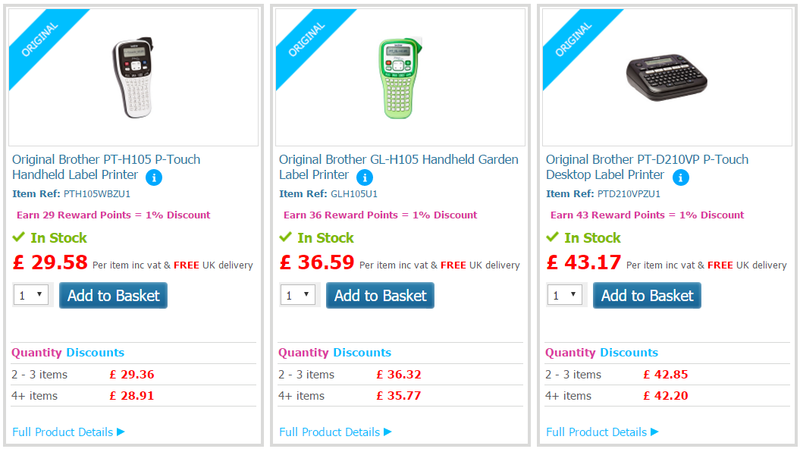 You can keep your office supplies organised and have it easy to locate by using the label printer’s that we have to offer to produce convenient labels. 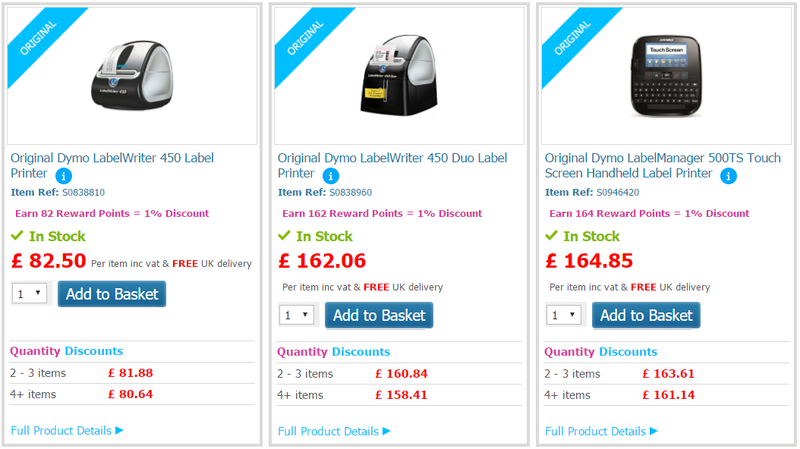 Here you can choose from a variety of label printers to suit your styles from trusted brands such as Brother, Dymo, and Leitz. These label printers uses various colours and widths of label maker tapes for various office applications. 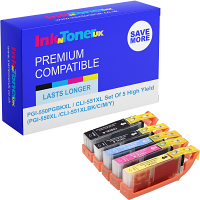 All of the label printers offered at InkNTonerUK are ready for same day dispatch and the prices shown includes VAT and Free SuperSaver Delivery. (prices are subject to change).